Our Campus Coordinators are like our super heroes! They represent Vida at their schools, help us raise awareness, and organize teams to serve communities in Central America. Ready to inspire change by empowering other students to make a difference? This is the perfect position for you! Enhance your resume. This experience can really add to your professional experience and speak highly about your desire to help communities around the world. Recommendation Letter from Vida’s Campus Coordination Liaison (upon request). The enrollment process is quite easy and you can actually get a scholarship or a travel grant for your team! Click here to complete the Application Form. Once accepted, you get to be involved from the very beginning of the planning, such as, choosing dates, location, recreation activities and much more. Spread the word! You will have access to several resources like the Campus Coordination Toolkit, and 24/7 support from your Campus Coordinator Liaison. Get ready for an incredible life-changing, eye-opening experience! 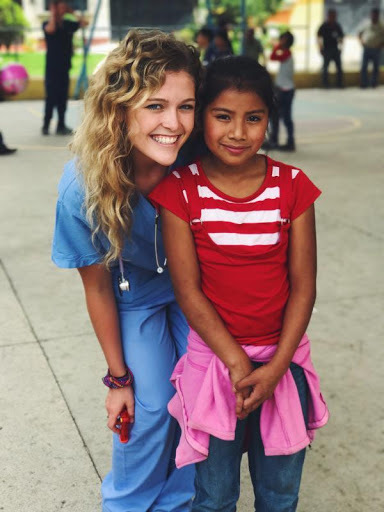 Aside from my passion for healthcare, Vida has helped me realize my passion for service. It sparked something huge for me and I cannot stop here. This program has completely changed my perspective on the idea of providing service to those in need. A little goes a very long way. I cannot wait to see where this takes me and share this with others. Don’t wait! Contact us today to learn more about our programs and organize your own team within your Campus.